Down in the lowest part of the Lower East Side of New York City, on Norfolk Street just off Delancey, is a fascinating photography exhibition in a pop-up gallery called site/109. 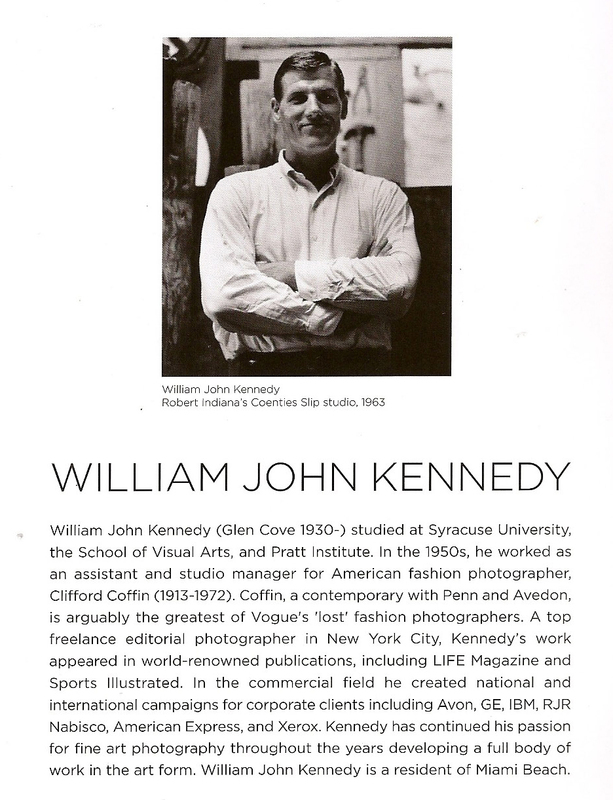 The photographer is William John Kennedy, whose editorial work appeared in publications including Life and Sports Illustrated and who also worked for top corporate clients. 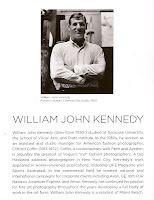 But in the early 1960s, Kennedy befriended the artist Robert Indiana, who then recommended him to Andy Warhol. Kennedy photographed both in the first half of the 1960s, just as their careers were about to take off — and then put the photos in a drawer for almost 50 years. My frequent gallery companion Dawn and I were there because Dawn's mom, Joan, had noticed an article about the show in an upstate New York newspaper — thanks, Joan! 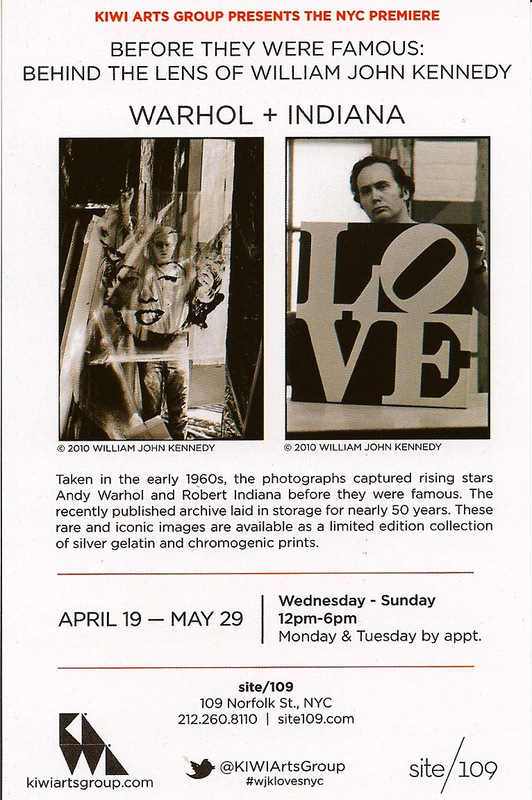 By the time we arrived, we'd missed a talk earlier in the day where the director of the Warhol Museum, Eric Shiner, had chatted with Kennedy and old Warhol companions Ultra Violet and Taylor Mead (both of whom figure prominently in multiple photos). But we had our own good luck when Louis Canales, the Creative Director of KIWI Arts Group, which produced the gallery catalog, agreed to be our very own docent. He showed us around the gallery and gave us the background on the photographer, the photos and the New York City art scene at the time they were taken, which was a few years before Dawn and I both attended the School of Visual Arts and Warhol and Indiana were household names. I found the photos of the young Warhol especially interesting. There must be thousands of photos of Andy Warhol and I've seen scores, but these are the first I've come across where he looks like he's having fun. The affectless ennui that characterized every photo of him once fame took over is much less apparent in these photos. 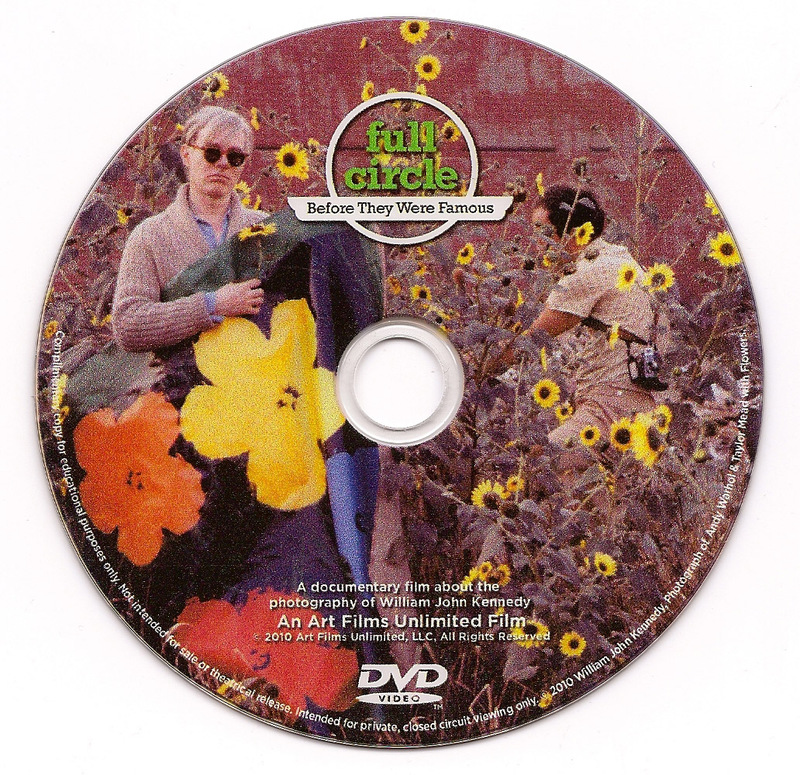 Louis also gave us a copy of the catalog, which includes a rather fabulous DVD with a recent interview with the reclusive Robert Indiana. The artist has lived for many years in Vinalhaven, Maine, which pretty much defines "off the beaten track." In the video, we see Kennedy and his wife travel by boat through heavy mist to the Vinalhaven dock, then walking up a street that probably hasn't changed much in 150 years before knocking on Indiana's door. You can see a brief clip from the video here. The show is open until May 29. If you're in New York City, it's definitely worth a visit.